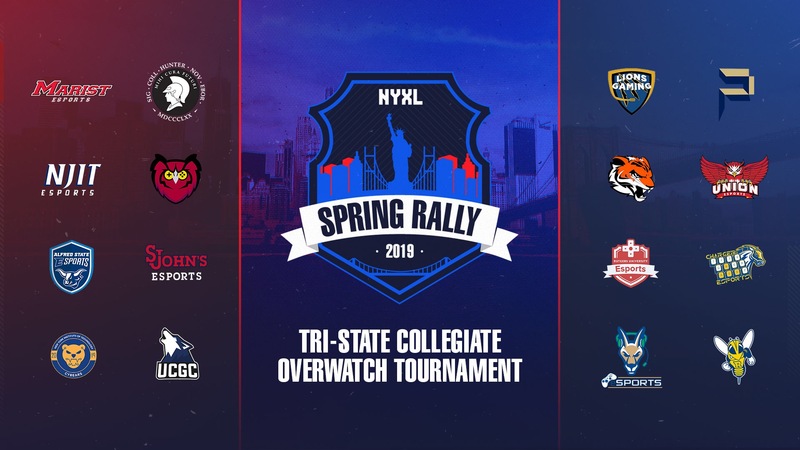 Last month, the Overwatch League’s New York Excelsior invited every collegiate esports team in the tri-state area to compete for a spot in their first-ever 16-team collegiate Overwatch tournament. More than 50 schools were invited to attend, with the top 16 teams being selected by fan vote. With more than $10,000 in prizing and school pride on the line, the meme wars (and the voting) began. Schools had three weeks to encourage their communities to vote for them in the #RallyTo__ campaign. Those with the most cheers on April 1 made it onto the next round. Here are the top 16 teams! These teams will compete in a best-of-five, single-elimination bracket on April 6. The emerging four teams will be invited to Rutgers’ Scarlet Classic V on April 14. In addition to $10,000 in prizing, the Spring Rally champions will also receive scrimmage and VOD reviews with the NYXL, and the top four teams will be invited to the next XL2 Academy Team trials. Catch the Top 16 action live this Saturday, April 6, starting at 1 p.m. EDT at springrally.nyxl.gg.